Discuss together what type of group you want to build. The AFN does not impose any political line on local groups or tell them how to campaign in local areas that have very different political cultures, but you may want to consider how ‘public’ or ‘closed’ you want your group to be. Do you simply want to support AFN street actions? Or might you want to get involved in relevant networks, such as migrant solidarity groups, or even host community meetings? There are AFN groups that do just one, some or all of these things. No AFN group works with the police or is affiliated to a political party. All try to work non-hierarchically. A group needs an email address that can be safely publicised so other anti-fascists can make contact. 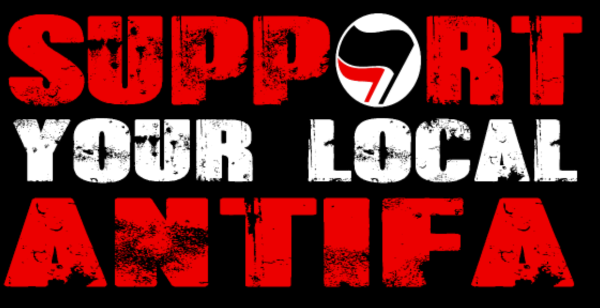 Most AFN groups use a version of yourtownantifascists@riseup.net. A group should meet regularly. 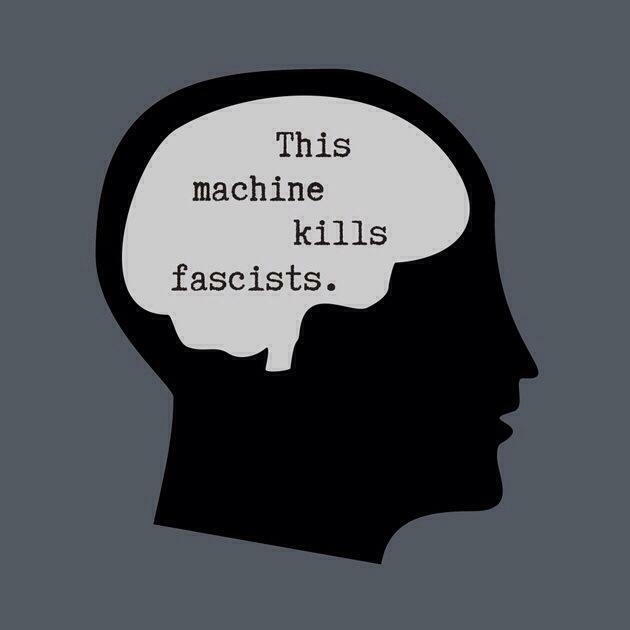 This helps anti-fascists react more effectively to fascist threats; it keep activists working together and enables the planning of future activities. It is helpful to have a mix of skills in your group. Not everyone has to be a readymade confident street activist. AFN also relies on people who are willing to send emails and print leaflets. It is important to mark your presence in your area. 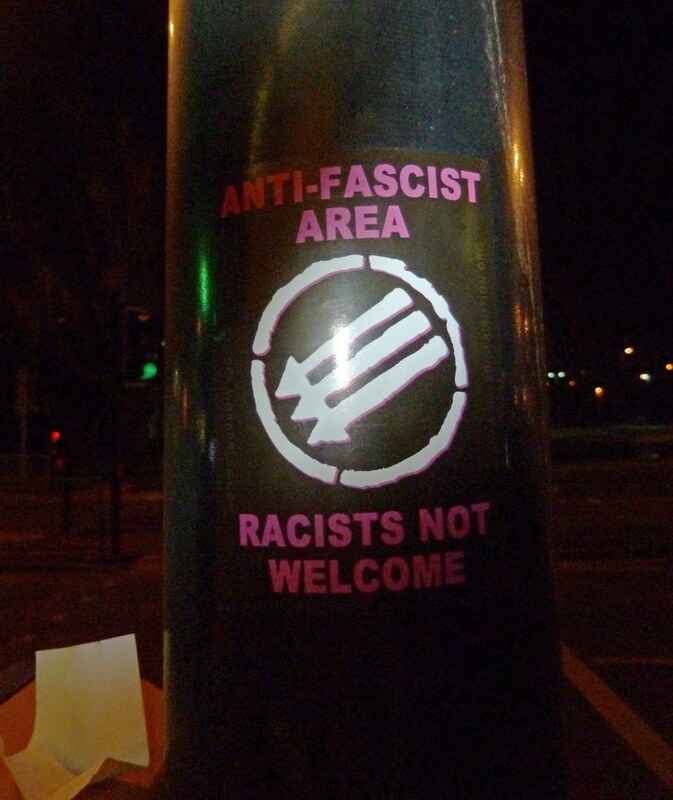 Promoting anti-fascist ideas is very important because it counters the far-right in a public space and shows people with ideas similar to yours that they are not alone. One of the easiest ways of doing it is by using stickers. If you lack ideas for your own designs or you don’t have graphic skills, the internet is full of ready to use examples. Write to us and we will help you to organise printing. Other cheap and good ways of spreading the message are flyposting, spray-painting and stencils. Fascists are bullies by their very nature and being active against them means you should have certain knowledge of self defence. Many AFN groups undertake self-defence training together or sign up to martial arts classes. At the very least you should try to work on your physical fitness by running or training with a punch bag. Training together improves the group dynamic as well as helps personal confidence in difficult situations. Some groups have regular film nights and discussion nights. All groups have to consider how to fundraise. Participating in any local social centre helps with booking rooms for fundraising events but monies can be raised by collection boxes in bookshops, stalls at friendly political meetings and cultural events or organising fundraising gigs. A group can quickly establish a name through an internet presence and social networking but it needs to put effort into maintaining it. If you have people that write good articles, consider setting up a blog for your group. The WordPress platform is the best for that purpose. A Facebook page is another good way of spreading your ideas in the form of news, graphics, events and short comments, but keep in mind that a FB profile has to be tightly controlled due to security reasons and we would recommend keeping all messages and conversations off it. Twitter is another excellent way of spreading your message. Educate yourself about basics of internet security as it is really important not to divulge too much information online. Keep your internet presence professional. For more help and pointers for how to get active check out our ‘Resources for anti-fascist action’.